The products are collected by the machine, stacked and the neatly jogged stacks are delivered to a buffer table. The operator removes the ergonomically convenient jogged stack from the delivery table and no longer has to knock-up the products. This means that, even after several hours of production, the folding machine can still run at full production without tiring the operator. The alpha delivers free of markings, i.e. 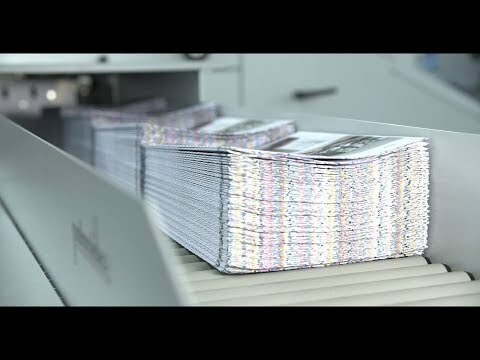 no smearing of freshly printed products. In order to reduce set-up times the machine sets itself up pretty much automatically. The pressing unit can be opened at the press of a button, which greatly simplifies press roller cleaning and removal of double sheets. 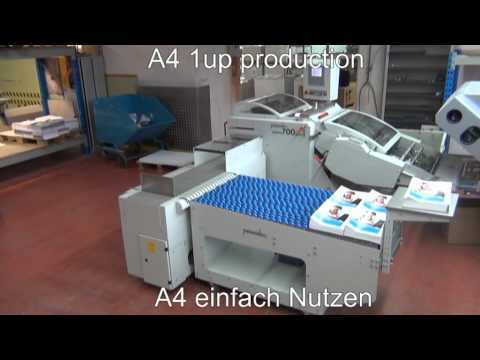 As the alpha was mainly designed for signatures, the pressing unit is equipped with 3.5 t of pressing force. As with all palamides‘ deliveries, the alpha identifies waste and automatically ejects it. Alongside this delivery technology, which has been established for years, palamides have designed a further essential component, “the intelligent output module”, which only forwards book blocks that have been checked for completeness to the subsequent finishing unit (e.g. adhesive binder etc.). It makes no difference whether it is dealing with a very small edition or mass circulation. Barcodes or registration marks are read and evaluated with the aid of a camera. These codes contain all important information such as: the book title, the number of signatures and which signature is currently being processed. 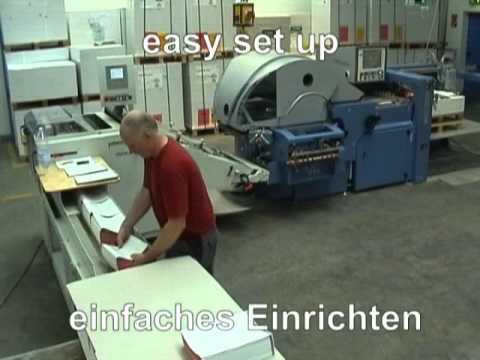 Once the book block is recognised as complete, it is transferred for further processing. If the book block is incomplete, then it is redirected, transferred separately and ejected. 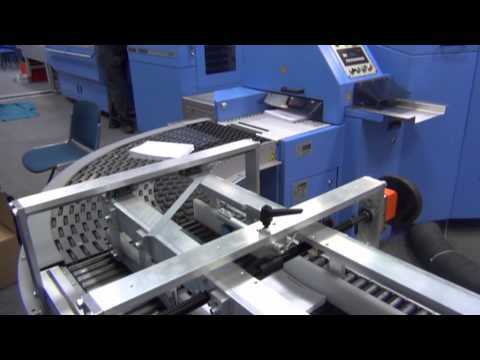 Using this top-quality inspection and monitoring technology guarantees that only absolutely perfect book blocks are automatically transferred for further processing. The alpha is only available as an OEM version of HEIDELBERG and MBO. Questions about the alpha? Jan Oldenkott will be happy to advise you.